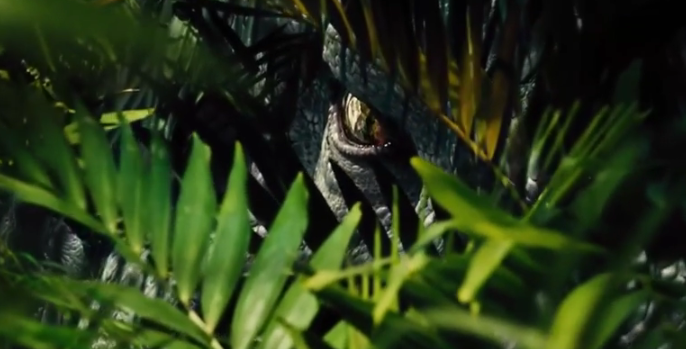 Jurassic World roared to life over Thanksgiving weekend with a teaser trailer. While the world cheered, it really seemed like more of the same. With the huge new trailer attached to the Super Bowl, we get a good look at just what is wrong in the World. 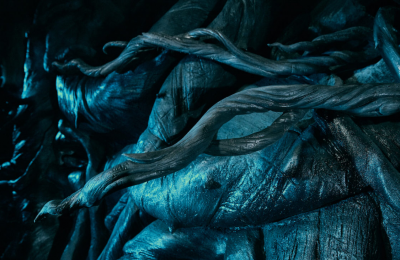 We also get a good look at our huge new bad guy, and a better sense of what could be happening. We also get a glimpse at what we hope is coming to Universal’s Jurassic Park section in the very near future! The new film hits theaters this June, and it looks to be a return to form for the Jurassic Park series. The most exciting thing, up until this trailer, is that audiences will actually see a working theme park. There will be a monorail system, and a geosphere that will allow guests to walk along side the dinosaurs in a natural setting. However, like all good dinosaur movies…something goes horribly wrong. We are getting a look at some new kind of monster that was created by the lab techs, who of course meddle with powers they shouldn’t, and it of course it backfires on them. What few glimpses we get a look at, seems to appear that this new dinosaur, that some sites are calling Indominus Rex, is a bad customer that could see T-Rex and even Spinosaurus given a run for their money. We could even see some really big dinosaur slasher action! 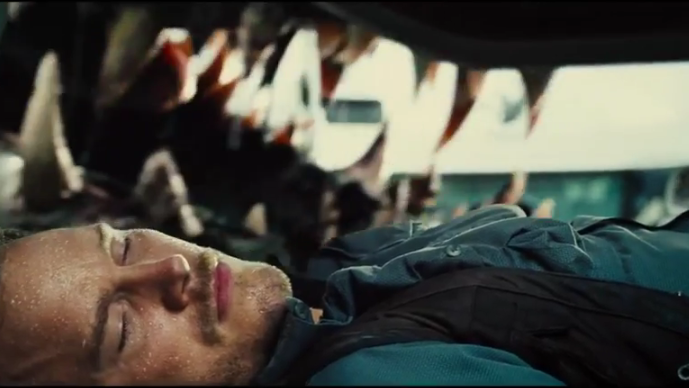 Possibly one of the coolest things is that Chris Pratt appears to be taming raptors. We can only imagine where the series will go after this new film hits, but the original pitch for Jurassic Park 4 had dinosaur mercenaries that could talk. We got close to talking raptors with Jurassic Park 3, but not close enough. 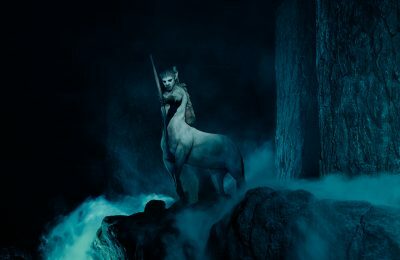 Of course, our question is when can we see those cool new rides at Universal Orlando? It would be amazing to go riding alongside dinosaurs where things DIDN’T go wrong, but then again it would also be really cool to see an army of free roaming, trained raptors. 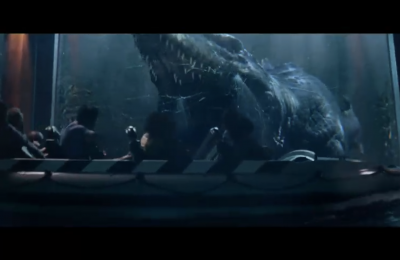 At the very least we could expect to see the new big baddie pop out with a new photo op, just like T-Rex and Spinosaur. Stay tuned for more from Universal and be sure to get social with us on Facebook, and follow along with us on Twitter @BehindThrills for the latest updates! For more information about Jurassic Park at Universal Orlando’s Islands of Adventure, including tickets, visit the official website by clicking here!